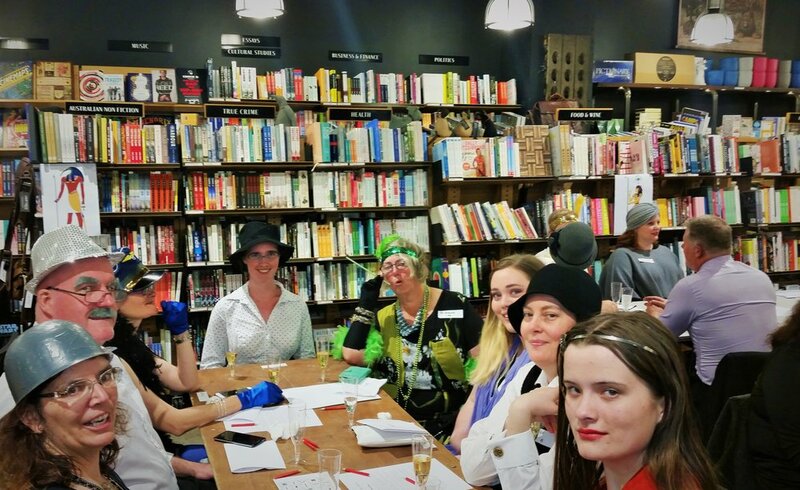 The Murder, Mystery and Women's History Tour 2018 was a whirlwind of book launches, literary events and incredible fun. The tour kicked-off with the Tasmanian launch of Egyptian Enigma at the Southern Swan Bookshop in Cygnet—a marvellously warm and friendly beginning. Following a joint event with my fabulous commissioning editor-turned-publisher Angela Meyer at Fuller's, Hobart, the virtual tour bus headed Canberra-wards, to the National Film and Sound Archives where I presented a screening of Boris Karloff's The Mummy (1932). An evening of feisty leading ladies, glowering actors and schlock horror beyond compare! At the National Film and Sound Archive, presenting The Mummy (1932). I thoroughly enjoyed exploring the links between Karloff's character and the real mummy it was based on—Ramesses III of the Twentieth Dynasty—as well as the ensuing round of questions from the audience. 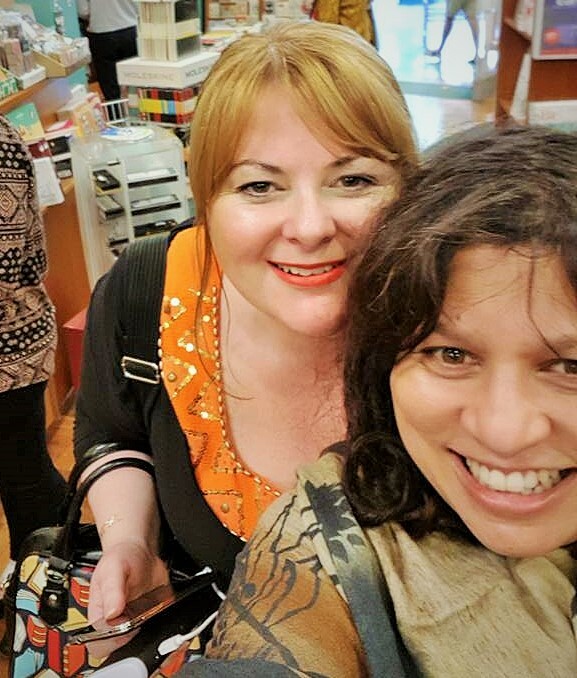 Next up was the Sapphire Coast, with a wonderful local book launch for Egyptian Enigma at Well-Thumbed Books, attended by inquisitive readers and one tenacious little lizard; followed by a jam-packed Getting it on the Shelf workshop for the Writers of the Far South Coast. A return to Canberra co-incided with one of my most career-affirming moments to date: not only had the 'Sold Out' sign appeared on ticketing for the Curse of the Sphinx murder mystery party, but all 150 spots for the official launch of Egyptian Enigma at the National Library of Australia were booked! Encouraging signs that this writer gig might work out after all. The rest of the week was a blur of discussing the grave side of historical fiction with Sulari Gentill at Paperchain Bookshop, the launch at the National Library, explaining how to mummify a corpse at Queanbeyan Library and showing customers at Dymocks Canberra how to write their names in hieroglyphics. The tour even made the local rag! With Sulari Gentill at Paperchain Bookstore, about to explore the darker side of historical fiction. For the final event, Curse of the Sphinx: A Detective on the Nile Murder Mystery Party, Harry Hartog Woden transformed into a 1920s archaeological site on the Giza Plateau filled to the brim with suspects. More than fifty suspects and detectives gathered to hunt a killer in their midst. Champagne flowed and accusations flew as the amateur sleuths pieced together who among their number had committed murder. Between secret missions, hidden clues and copious misdirection, the evening was over all too soon. There was one final surprise for the night—and the tour—when an enormous pyramid of Dr Pimms novels was revealed. An authorly sight to behold! By the conclusion of the tour I was exhausted, eager to return to my writing couch and happy to have met so many new friends and readers along the way. I can't wait to do it all again next year!